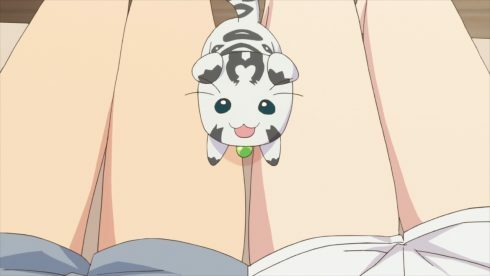 Well this was in all honestly a pretty comfortable last episode. It kept the focus pretty effectively on wrapping up the situation with Rinne. 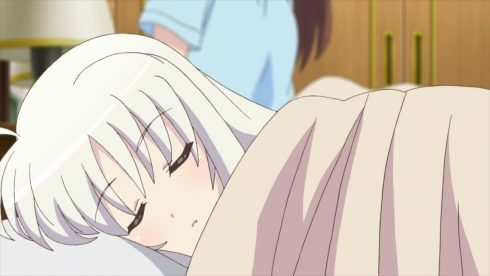 Now maybe they wrapped it up a bit too neatly with Rinne who probably still needs a lot of professional help, but it is the last episode. In the end if I had to pick between a gloomy finale and one that is a bit more optimistic, then I’ll take the optimistic ending. At least they do get things back on track with Rinne and Fuka, although Jill is still surprisingly a very major character in this last episode. Also it is just fitting that they end this episode…leading up to a fight we are never going to see XD. It’s as if they decided to double down on their plan for Fuka this whole season. I love the bit about mentioning showing the match to the people Fuka fought in this tournament…all one of her. They couldn’t show another picture because we never saw her fight anyone else. Couldn’t they honestly have skipped the talk with Nove and Jill and spent the last few minutes showing a bit of a fight between Fuka and Einhart? Yes that isn’t enough time for a whole fight. However, I think a brief bit of fighting would have been better than just the intros. The good stuff in this episode is that it finally did put some additional focus on Rinne and Fuka as friends. 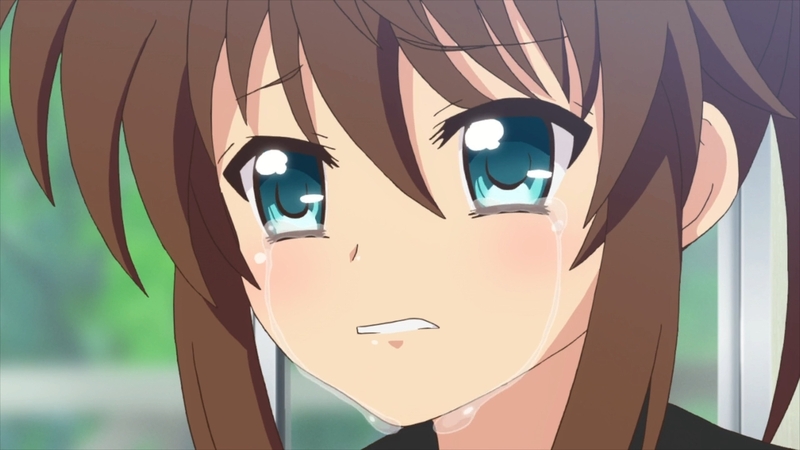 We got more emotion out of Fuka here than we’d gotten in several episodes. Moments between her and Rinne was a reminder that there was stuff going on under the surface. Fuka was feeling a great deal of pain from losing the connection to her friend and being unable to really interact with her. 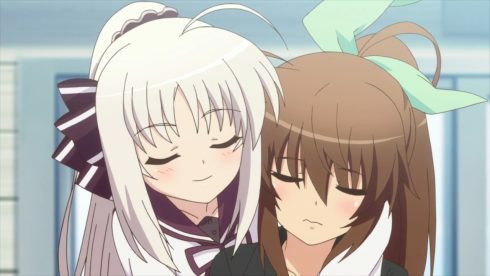 Something we never got a full picture of until the last couple episodes. And I’m absolutely glad we finally got some moments like this. Seeing emotion on Fuka’s face and crying is something her character desperately needed. 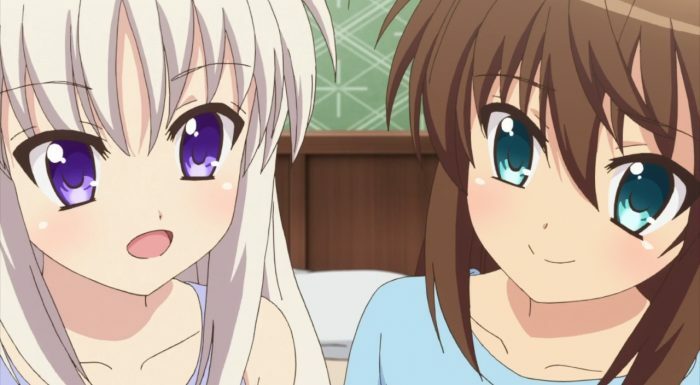 Maybe can look at it as Fuka hardening up her heart as well until Rinne was back in her life? Of course it also does make Rinne feel more like the main character with how she calmly handles things in this episode XD. After in a sense calming down herself she could look at things and find a bit more optimism in her own life. She was able to handle things with Jill, calmly talk with Fuka, and even comfort her friend after they looked at those videos and pictures. 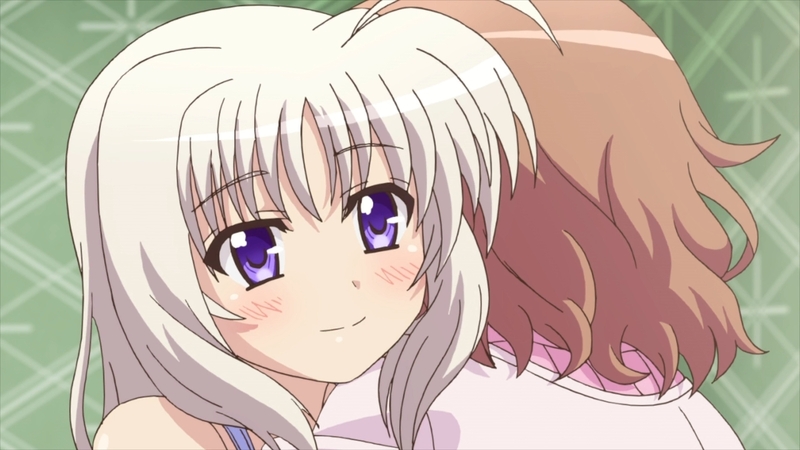 In a sense you can get the sense that while Fuka was the protector in that relationship physically, that Rinne was a strong emotional center for the two of them. And she is now getting back to that friendly girl who can comfort those around her. It shouldn’t be too hard for her to talk things through with her parents or seek any help she needs to fully grow. If nothing else I wouldn’t mind seeing more with these two now that they are back together. Unfortunately this was the last episode so that isn’t happening. At least one prediction held up in that Rinne did end up in Fuka’s corner for the fight against Einhart. There is nothing wrong with showing support for your friend, especially since there was no conflict of interest. The other competitor was from the same gym as Fuka so…really she could use the extra help. Not much to worry about with these two who will have time to talk things out well after the show has finished. The other big conversation was Jill and Nove. There wasn’t much gained there I don’t think. They’ve made the point over and over about Jill’s mindset and where she went wrong. There was a bit of retreading there. Also not sure I agree with Nove about people bringing up talent after the fact. People bring up talent before, after, and even during an event or competition. Who exactly is she kidding? People talk about the talent of prospects before they end up in various national leagues and talk about their talent as they play in those leagues. In the end the issue of talent is always there in sports. There are some that will never make it or never be great because they don’t have those gifts. But hard work is important. If the talented don’t work hard they don’t reach their potential and even the less talented can make a career in some sports if they have enough effort. 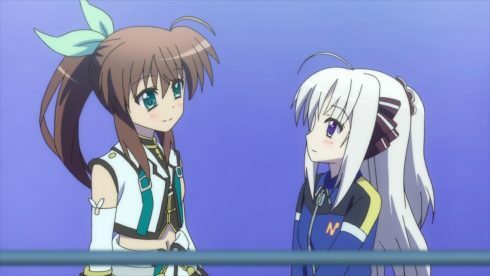 One thing I’m finding hard to believe is that sparing match with Sieg and Einhart. I’m sure Einhart has matured an incredible amount since we saw her in Vivid. She’s the champion of her age group and well respected. But I just really find it hard to believe that she actually wore out Sieg in a sparring match. I mean really? Sieg is a crazy powerful monster. 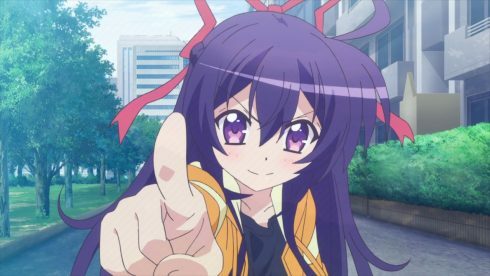 For anyone who just watched Vivid and moved on to Vivid Strike….this makes her seem not overly impressive. 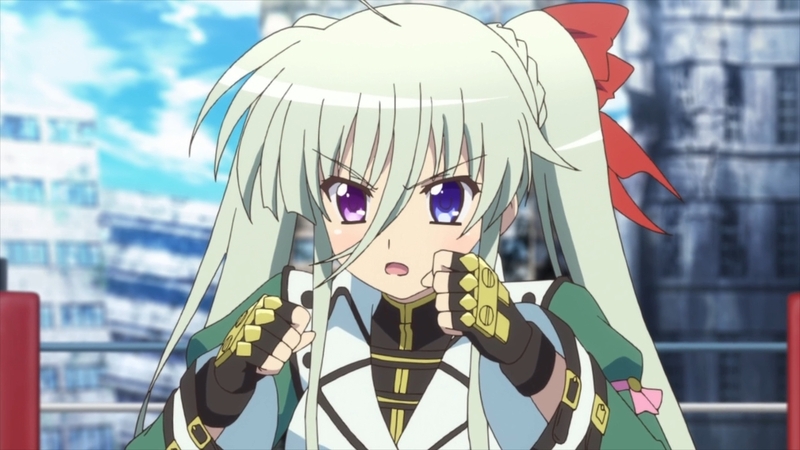 It’d be nice if we saw Einhart’s current ability, but unfortunately she too lacked many fights. In the end this was a solid enough last episode. 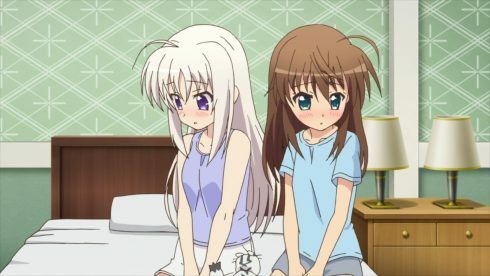 It did focus a lot on Rinne and Jill as per usual. However there was a good enough amount of time spent on Fuka. I just wish that we just got to see some of the main character fighting Einhart. They spent so much time on this tournament and we don’t even get to see the fight? Did we really need the tournament then? The photo after the ED song makes it likely that Einhart won, but that doesn’t solve the lack of actually showing it. I know the tournament wasn’t supposed to be the main focus. It is just that I expected a brief fight to send Fuka out with. This show is a tough one to really pin down my thoughts on. In a sense it was a very decent ride and did some things spectacularly well. Honestly I think the development given to Rinne and the flashback arc she had was very impactful. That kind of bullying scene and bully breaking isn’t something you see a lot. However, the downside is that Fuka remained a terribly underdeveloped main character. Her lack of focus goes so far that you could argue that she is actually a side character in the story. 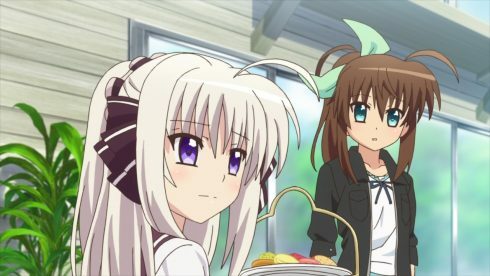 Even the fight against Rinne she served more as a necessary challenge to help Rinne grow than as someone who gained something through the fight. 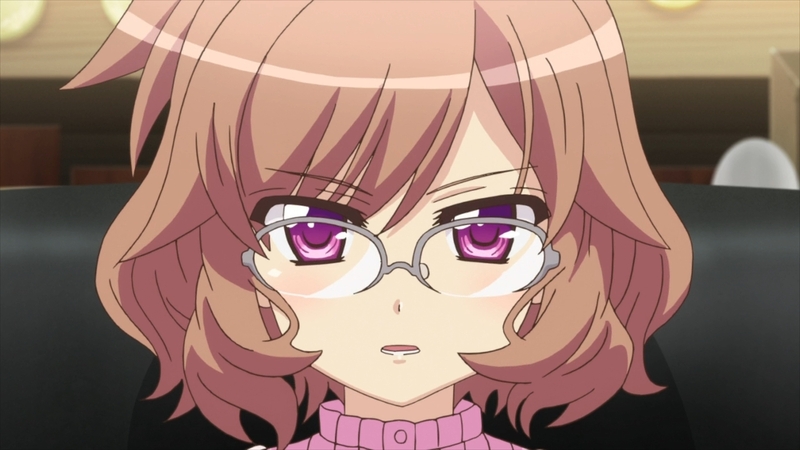 I honestly liked the first couple episodes and where things could have gone with Fuka. You had a girl who got into fights with thugs, was working instead of being in school, an orphan who had issues with the rich and disliked those who looked down on others. I really did think we might have issues like Fuka’s previous fights coming back to haunt her or maybe have her jump to conclusions again and have to face the consequences of that. I thought they might do something with the fact that Fuka had all this talent and maybe have a bit of conspiracy pop up during the series. 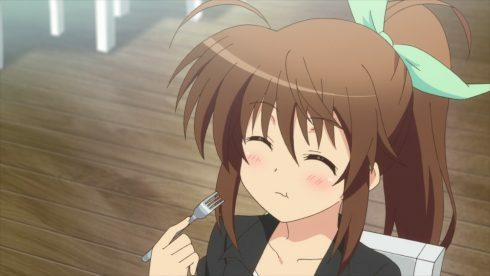 Unfortunately for Fuka the show didn’t really do anything with her. 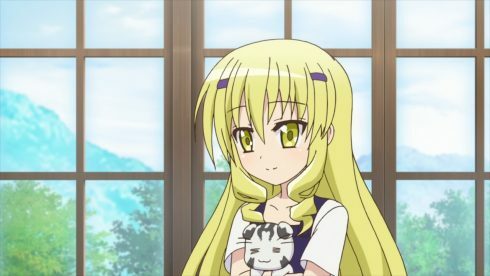 We got bits about her potential and natural ability, but the show basically dropped her character after Rinne’s flashbacks began. And that isn’t something that had to happen. They could have taken time to have Fuka really react to Rinne’s past and get into her head a little. This last episode is the perfect kind of thing to use. Just have the facts emotionally strike Fuka or maybe even a bit of found footage. I didn’t mind her taking a kind of mature stance with the group about what she found out, but the series didn’t really build on that. By the time Fuka was ready to fight with Rinne, we didn’t know how she felt at all. The tournament angle may have been a big mistake. They didn’t show Fuka’s fights or even Fuka’s reactions to the fights that we did see. Fuka was as important a character during the tournament as Ix was. Vivio literally stole the show from her during the two episodes of her fight against Rinne. 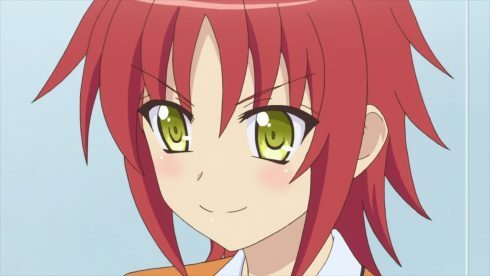 That fight was so compelling that I almost wonder if they shouldn’t have just had Vivio remain the MC and have her be the one to get through to Rinne. 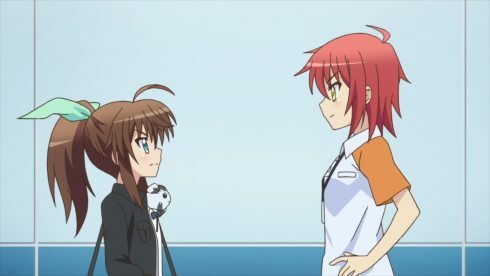 There was a point to the Vivio and Rinne fight in terms of setting up a fight with Fuka, but in the end they even dumped the tournament in the last episode. We don’t even get to see Fuka fight more than one time in that entire tournament. Fuka is the main character, but we got to see Vivio fight more than her in that tournament. Again it wasn’t all wasted potential. 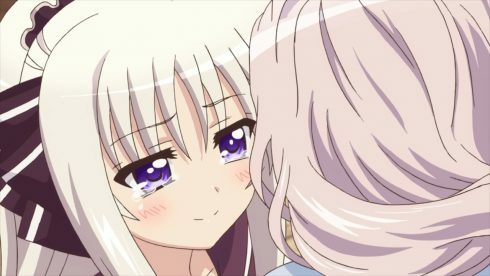 Rinne did have a really good arc in my mind. We got a pretty full picture from when she was at the orphanage; we saw what happened post adoption and even how she developed into a top fighter. On top of that we even got to see her training regimen and her relationship with her coach. Even the big fight of the series with her and Fuka had the focus remain on Rinne. Fuka was a kind of test that pushed Rinne incredibly hard and made her have to dig deep to hang in there. Rinne in the end saved herself thanks to Fuka’s presence. It was Rinne who had to look into herself and find the ability to start stepping beyond her tragedy. 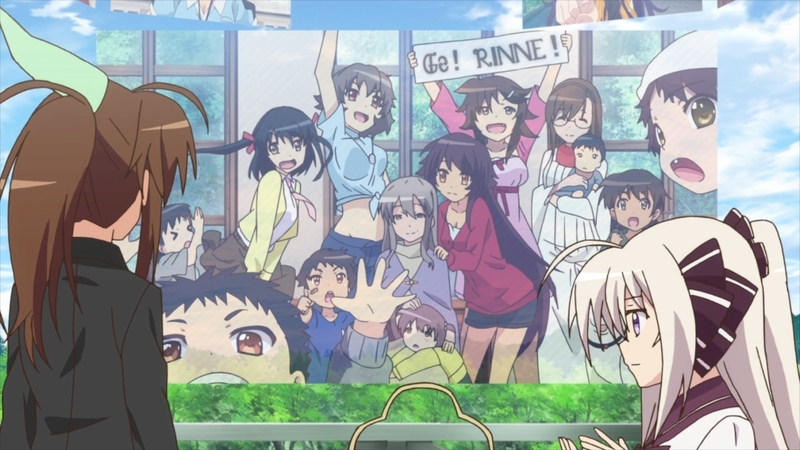 They could have pretty easily swapped the focus and just had Rinne start out as the main character. 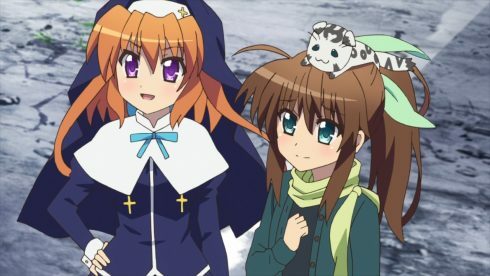 It might have even been an unusual change having such a broken and damaged main character in the Nanoha series. She has all the potential in the world, but she holds herself back because of the shackles of her past. 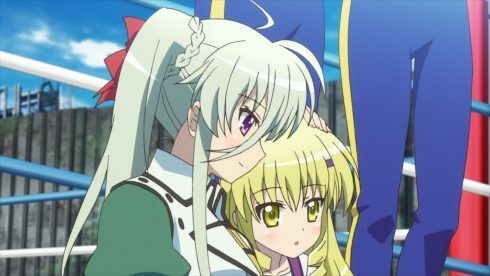 Fuka or Vivio or Einhart could have easily been an outside force that leads to Rinne’s character growth in much of the same way as the show actually unfolded. I don’t know if that would have been the best route, but that might have worked a bit better and lacked a main character getting lost for half the show. I honestly keep going back and forth about what I liked and what I didn’t. There were fights that I certainly did like. The Vivio vs Rinne fight was probably the highlight of the series. 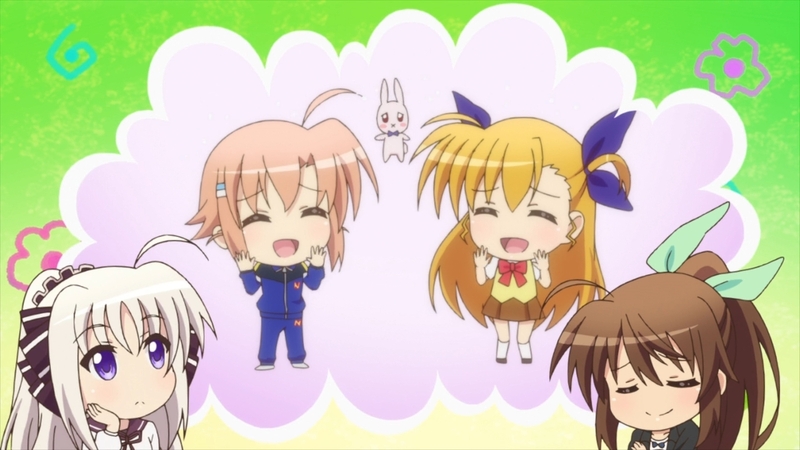 That was one time where I was really pulling for Vivio to get through it. 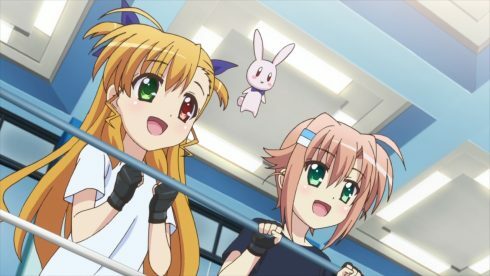 The focus was nicely on Vivio being a fighter with a lot of technique and yet physical weakness. 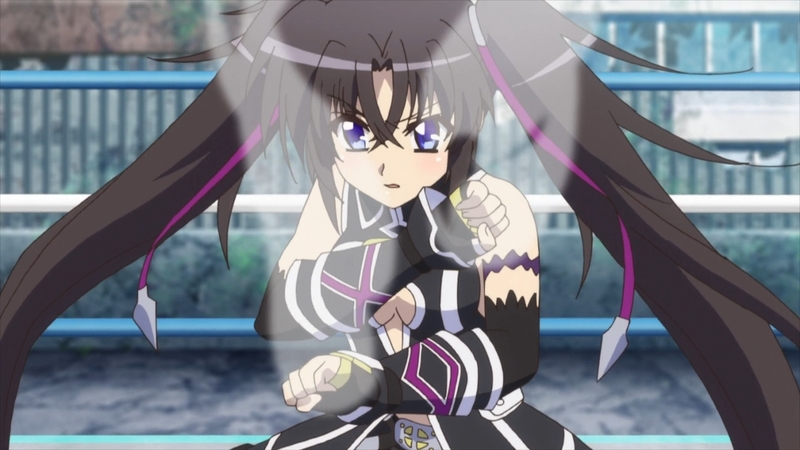 I didn’t think she’d be able to get back up, much less have the ability to knock Rinne out cold. 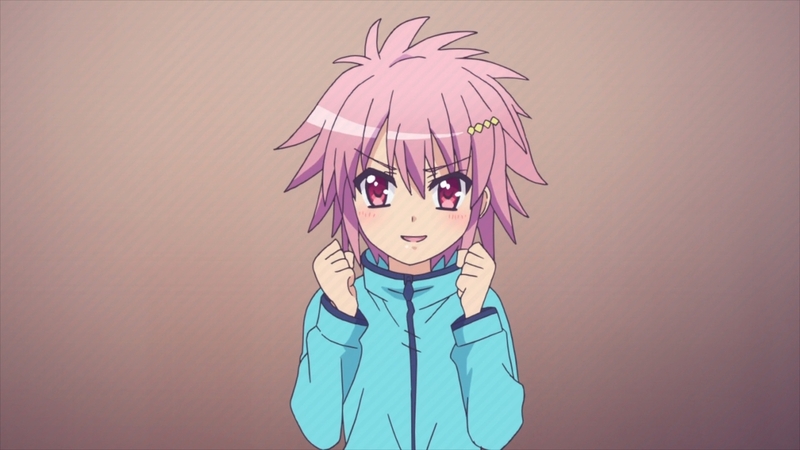 And even though the show had done a good job with Rinne, I cheered on the underdog in that situation. 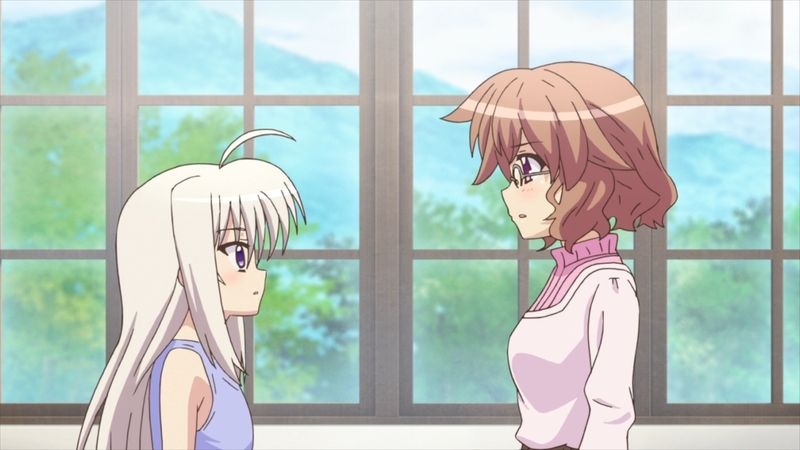 The Rinne vs Fuka fight had some good moments and was the second best fight in the show, but there was a surprising lack of fights so maybe that isn’t saying a lot. 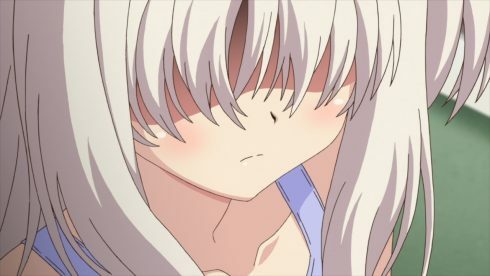 Maybe the most impactful moment in the show was a broken Rinne deciding to simply destroy the bullies that had tortured her. That was both an exciting scene, a disturbing scene, and somewhat cathartic. This was just a case where you felt the bullies absolutely deserved it. The show had spent enough time showing just how they had whittled away at Rinne and in the end what broke her. They used just enough blood that even without showing some parts of the ‘fight’ it was enough to leave a lasting impression. 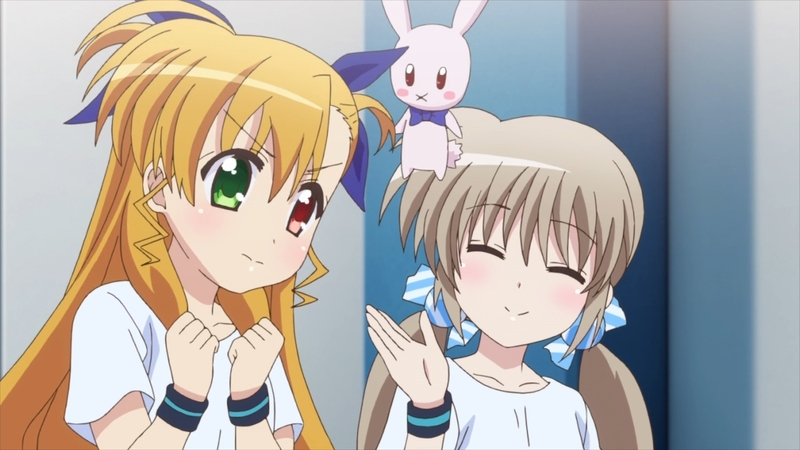 I think Vivid Strike is a show that just could have been better. The issue comes down to writing and the route the story went down. You could really overhaul this and have a great show by the end. Just keep a lot of the main plot points intact and change the focus. 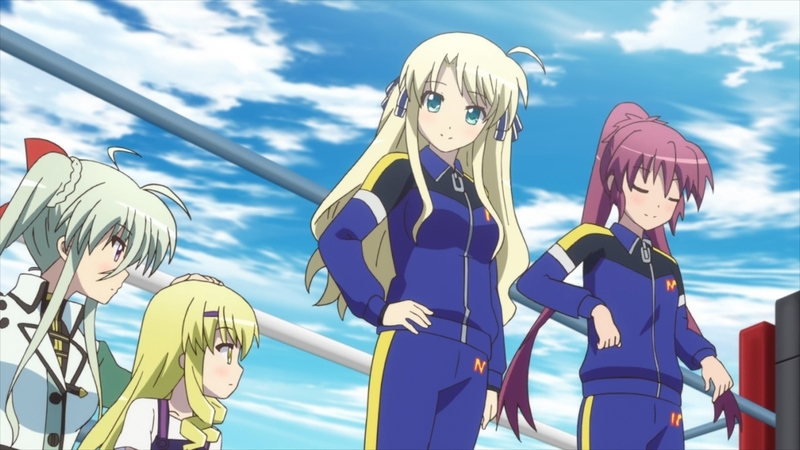 In the end though they tried to at times play a straight up martial arts tournament story, with some Nanoha tropes, a well-developed girl who needed saving in Rinne, but an underdeveloped main character in Fuka. It just feels like different people wrote different parts of the story and they weren’t communicating. A bit of cohesiveness in the story could have resulted in a good show. 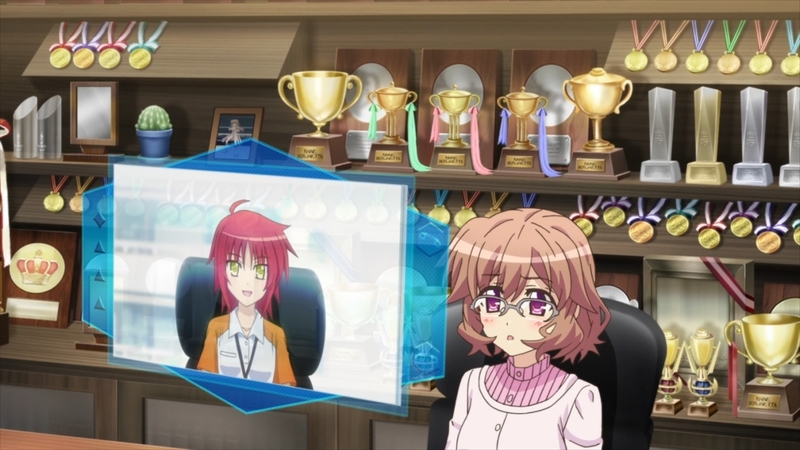 Maybe they should have focused less on Rinne and more on Fuka. Or perhaps they simply have switched the focus to Rinne from the very beginning. I’m not sure a few minor tweaks would have taken this from the good/somewhat average category that it ends up being. I don’t think it was a bad choice to try to start with a new main character and make use of the Nanoha universe. But, they somewhat played it safe and didn’t really explore things as much as I thought they might. Vivid Strike was a decent ride and I’m curious to see if it does end up warranting a sequel. At least I can look forward to the Nanoha Reflection movie.